Mediation Perspectives: “Infrastructures for Peace” – Useful Jargon? Peace infrastructure? 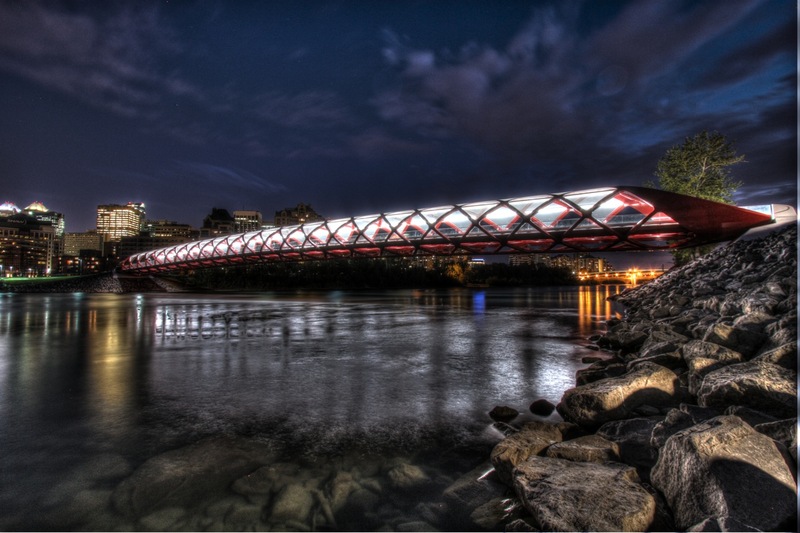 The Peace Bridge in Calgary AB, Canada. Photo: /Wikimedia Commons. Every academic and professional field has its jargon. While often criticized, jargon has its uses. It serves as a kind of shorthand, allowing us to communicate complex or multiple concepts in short phrases or single words. But it does have its downsides. Excessive use of jargon renders meaning incomprehensible to non-specialists. Even between specialists it may lead to misunderstandings when users and audiences have different conceptions of what the term refers to. Worse, it can be used as a kind of tick-box or name check, allowing users to communicate the sense that they are engaging with the concepts underlying the jargon without necessarily genuinely doing so. We are therefore rightly wary when a new term comes along; asking ourselves whether there is a need for it in our vocabulary. The field of peacebuilding and conflict transformation is no stranger to jargon. A new term pushing its way into the lexicon is “infrastructures for peace” (“I4P” or “peace infrastructures”). It has been floating around for some time and looks like it may be on the verge of going mainstream. The origins of the term have been credited to conflict transformation guru Jean Paul Lederach. More recently the term has been championed by the United Nations Development Programme (UNDP) and an international NGO network has been established to promote the concept. The concept is now the focus of two recent publications: the Berghof Handbook Dialogue Series dedicates its latest issue to the topic as does the Journal of Peacebuilding and Development. On top of these, the inaugural issue of the new open access journal Peacebuilding contains an article and comments on the topic. The two key questions any new piece of jargon raises are “what does it mean?” and “does it help to express a useful concept?” Contributors to the recent publications all admit that the concept requires refining and there is not yet a consensus on a definition, although several have been suggested. Broadly, it refers to the various elements (particularly structures – both formal and informal) in a society that work to prevent, resolve and transform conflict and to build peace. Peace infrastructure can include elements such as early warning and rapid response mechanisms, local peace committees, ministries for peace, national dialogue conferences and truth and reconciliation commissions. One of the challenges of pinning down a definition is that peace infrastructures will look different in different contexts. One commonly cited example is the peace infrastructure in Kenya that grew out of a grass-roots initiative in Wajir district to prevent and respond to local conflicts resulting in the creation of the Wajir Peace and Development Committee. This model was replicated in other districts and related structures and policies were also subsequently developed at a national level. In Nepal, a more top-down governmental model was followed where a Ministry of Peace and Reconstruction was created to support implementation of the Comprehensive Peace Agreement of 2006 and it oversaw the creation of other bodies including local peace committees, a peace fund and a truth and reconciliation commission. Of course the elements that make up an infrastructure for peace have been around long before the term came along and will continue to be developed whether or not the term enters common usage. Nonetheless, the concept is useful in a number of ways. Firstly, it encapsulates a number of key principles fundamental to conflict transformation and peacebuilding work: It evokes various elements working together towards a common purpose thus drawing attention to the fact that working on conflict requires co-ordinated work by a range of actors at all levels of society, from the local to the regional to the national to the international. It reminds that all societies have existing capacities to manage and transform conflict which should be supported and developed. Most importantly, the notion that conflict transformation and peacebuilding work requires an infrastructure to sustain it re-emphasizes the long-term nature of such work. The second value of the concept of infrastructures for peace is that it offers a different emphasis to the critiqued “liberal peacebuilding” approach. This approach aims to prevent the escalation or re-emergence of violent conflict through the establishment of institutions and policies associated with liberal democracies. In its cruder forms liberal peacebuilding has taken the form of top-down statebuilding, working on the assumption that the restoration or creation of the “modern” institutions of government is the key to peaceful societies. While not denying that some degree of functioning state is important for peace, to recognize the importance of peace infrastructures is to recognize that conflicts bring along particular problems that go beyond the absence or the breakdown of the machinery of state. Conflicts tend not to be simply a blip on societies’ otherwise peaceful trajectories through history. Rather, societies often find themselves in a conflict cycle where violence recurs periodically. Breaking out of this cycle requires not only a functioning state but also specifically dealing with the issues, dynamics and legacy of conflict. This includes efforts to facilitate dialogue and negotiations between conflict parties, reconcile divided communities, deal with the past, establish mechanisms to spot and address future conflict triggers, etc. This is nothing new but what the concept of peace infrastructures helps to emphasize is that these efforts are as equally deserving of concerted and coordinated attention as the efforts to restore a functioning state. From a mediation perspective, one aspect of the developing debate on infrastructures for peace of interest is the relationship between structures and process (see Hopp-Nishanka’s concluding reflections in Berghof’s publication, p. 59). Establishing peace infrastructures has a two-pronged benefit. The first is obvious. A structure is created for a purpose (e.g. conflict early warning). If it is successful it will (hopefully) contribute positively to peace. The second benefit is tangential but also important. When the establishment of such structures is done in an inclusive manner (often key to guaranteeing their future legitimacy), this process provides an important space for a wide range of actors and stakeholders to come together and work jointly on an aspect of the conflict. Such experiences can be important confidence-building measures in their own right and, if successful, lay the foundations for co-operation on other issues. Like all jargon, “infrastructures for peace” will no doubt have its critics. However, if it helps to promote long-term support for developing complementary in-country capacities and initiatives for dealing with conflict, it is a useful addition to the lexicon. If, in addition, the development of such infrastructures avoids top-down interventionism and promotes spaces for dialogue and mediation, I look forward to hearing it on a regular basis. Owen Frazer is a program officer in the the Mediation Support Team at the Center for Security Studies (CSS). He is responsible for various projects within the Culture and Religion in Mediation (CARIM) program which aims to support mediation and conflict transformation processes that deal with the religious and cultural dimensions of conflicts.